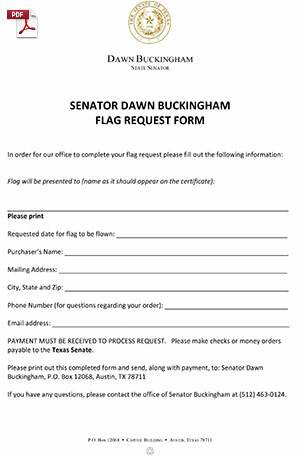 Complete the attached form, print it out and mail to Senator Buckingham's Capitol office, along with your payment, to order a Texas flag and request to have it flown over the State Capitol. 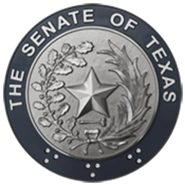 Make checks payable to the Texas Senate. Flags will not be sent until a check is received.